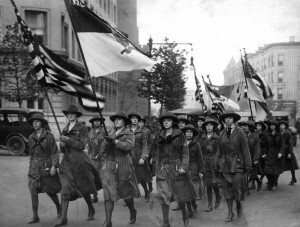 The Historic Girl Scout Uniform and Memorabilia Exhibit celebrates the 100th anniversary of the founding of the Girl Scouts of America by Juliette Gordon Low in 1912. 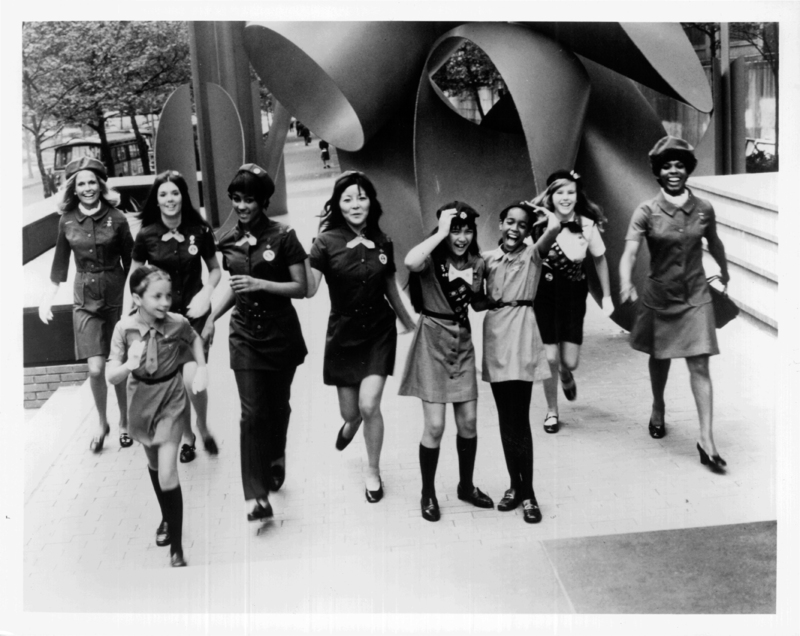 Forty-five Girl Scout uniforms for girls of all ages from Brownies to Seniors and Daisies to Cadets to Girl Scout Leaders, all from the Girl Scouts of Ohio’s Heartland Council Archives were selected and organized by the archives committee for this exhibition. In addition to uniforms, the exhibition includes photographs, memorabilia, dolls and an interactive scavenger hunt. The exhibition runs through June 1, 2012. Hours are Tues-Thurs 10am – 6pm, Fridays 10am – 4pm, and Saturdays 12 – 4pm. 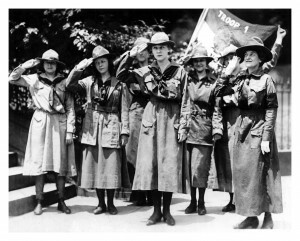 Contact the Girl Scouts of Ohio’s Heartland at 614-487-8101 or 800-621-7042 or http://www.gsooh.org/girl-scout-community/events/historic-uniform-exhibit/ for programming information. 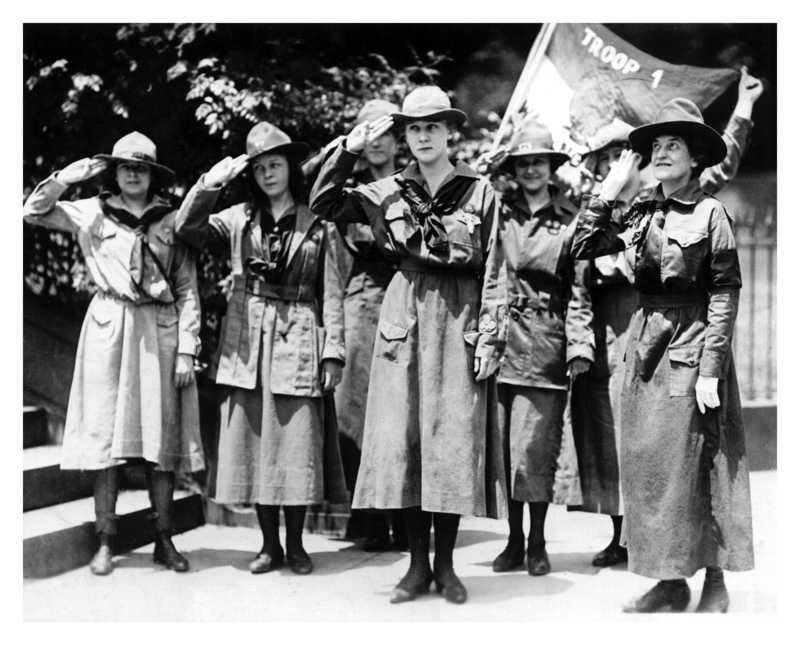 Juliette Gordon Low, founder of the Girl Scouts with scout leader and girl scout-notice the difference in uniforms. Girl Scout Troop 1, 1912. Girl Scouts c. 1970 showing the diversity of girls and women and their uniforms in scouting at this time.